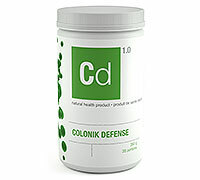 Combats constipation; slightly reduces blood cholesterol levels. Prevents cardiovascular illnesses, treats diarrhea; soothes irritable bowel syndrome symptoms and reduces blood sugar levels in diabetics. Prebiotics and more precisely soluble fiber can play an important role in the prevention and treatment of inflammatory illnesses of the intestines. By changing the composition of the intestinal flora, these fibers create beneficial conditions for the intestines. In particular, psyllium can alleviate symptoms of irritable bowel syndrome. Constipation. Psyllium is a bulk laxative. The mucilaginous substances it contains absorb the liquid in food. In the intestines it then forms a “gel” that increases the bulk of stools, improves their consistency, and accelerates their passing. Psyllium is widely used to combat constipation, particularly when it is chronic. Compared to other bulk laxatives, psyllium has been shown to be more effective than calcium polycarbophil, methyl cellulose, or wheat germ. It also causes less bloating and flatulence than other vegetable fibers. When taking psyllium, it is important to drink plenty of water in order to avoid blocking the digestive tract. Glutamine or L-Glutamine is the most abundant amino acid in blood and muscles. It plays a role in protein synthesis, immune protection, maintaining the integrity of the intestinal wall, and the acid-base balance of the body. It is also used in the manufacture of endogenous glucosamine, which, in turn, repairs cartilage and tendons. L-Glutamine is also useful in repairing and maintaining the integrity of intestinal mucosa so that it can play its role as a barrier. It improves the functions of the intestinal wall, including permeability, as well as the uncontrolled proliferation of intestinal flora. A reestablished intestinal flora allows for smooth digestive function and proper assimilation of essential nutrients (vitamins, minerals). Prebiotic. The results of studies carried out on animals and humans have established that inulin encourages the growth of beneficial intestinal bacteria. This can be attributed to the fact that inulin is neither digested nor absorbed before arriving in the colon. Because it is intact, bacteria can feed on it. It stimulates the growth of bifidobacteria. Native chicory inulin is bifidogenic (stimulates intestinal growth of bifidobacteria). This prebiotic effect can contribute to the treatment and prevention of numerous gastrointestinal problems. Inulin can be useful in treating the symptoms of irritable bowel syndrome and inflammatory intestinal illnesses. Adults: Take 1 to 2 tablespoons per day, two hours before or after the taking of other medications, or according to the recommendations of a health professional. For each spoon, mix with 200ml of liquid (water, milk, fruit juice, or similar aqueous beverage.) Stir briskly and drink immediately. Drink plenty of liquid. For use beyond 4 weeks, consult a health professional. Consult a health professional before using this product if you are pregnant or nursing, if you take medications to inhibit peristalsis (opiates, loperamide), if you have symptoms such as abdominal pain, nausea, vomiting, or fever (these can be indications of abnormal constrictions of the gastrointestinal tract, disorders of the esophagus and/or the upper opening of the stomach (cardia), of a potential or existing intestinal blockage, paralysis of the intestine, megacolon, faecal impaction, inflamed bowel, or appendicitis), or if you experience chest pain, or difficulty breathing after having consumed this product. Can cause flatulence and/or temporary bloating. Do not use if you suffer from diabetes mellitus characterized by difficult to control blood sugar levels, or if you have difficulty swallowing.